Last weeks main menu goal was simple: clean out the fridge before 30 people came over for Thanksgiving dinner. It was a success, but it was also a great reminder of how much better we eat when there’s a plan in place. We also ended up eating out a bit more than I’d intended with all the holiday craziness, and I’m looking forward to a more regular schedule for the next few weeks. In addition to the dinner plans, I also need to replenish my chicken stock and I want to try some beef stock. I’m also hoping to make a batch of the Paleo Parent’s Cinnamon Apple Creamed Cereal and am pondering if I can turn this Paleo Pumpkin Gingerbread cake into a lebkucken-spiced cake somehow. The spices are already fairly similar – the biggest difference I see right now is the lack of molasses and addition of pumpkin. A little experimenting might be in order. This week’s Gluten Free Menu Swap theme is pizza…something I haven’t quite figured out how to do on a paleo diet. If I were to go off plan, though, it would be for this polenta pizza I came up with a few months ago. It’s soooo good! 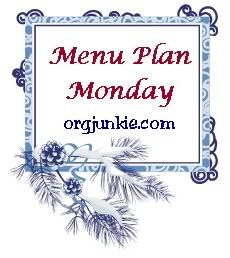 Shared at Org Junkie’s Menu Plan Monday and the Gluten Free Menu Swap hosted at Our Frugal Happy Life this week. This entry was posted in Simply Meal Planning and tagged GF, gluten-free, Gluten-free menu plan, paleo, paleo menu plan, Primal, primal menu plan by Awkward Girl Gets Fit. Bookmark the permalink. Oh, your menu would make my daughter very happy. I will have to spend some time browsing your site to get more ideas to feed her. I don’t know much about the Paleo diet – you have an interesting menu! Have a great week. You have so many great ideas and recipes. I haven’t been following a Paleo diet, but I think I may have to get the book Make It Paleo to try it out, or at least some of the recipes!